A night of singing, sharing and testimonies. Come join us on August 17th @ 10:00 AM for Homecoming. Rev. Bob Whitaker will be our guest speaker, and The Montgomery Family will be bringing special music. Lunch will follow the service. 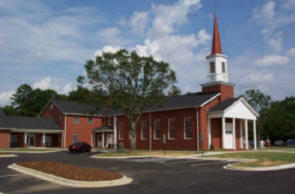 "A Call to Cooleemee" is a local missions outreach to the town of Cooleemee, NC. This event will take place on Aug. 10-12. Please click the link below to visit the web-site and see what is happening! There will be NO PM Worship Services or activities on Sunday nights during the month of August, except for special events. Sunday night services will resume in September.